Ghana will work with the market to determine the tenure of possible longer-dated bonds for a future debt issuance after raising $3 billion this week, said Finance Minister Ken Ofori-Atta. 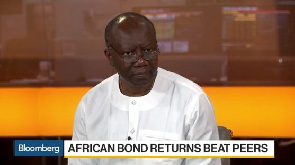 The world’s second-biggest cocoa producer sold Eurobonds in a three-part deal with an average maturity of seven, 12 and 31 years after receiving $19.9 billion in offers, Ofori-Atta said in an interview Wednesday with Nejra Cehic and Manus Cranny on Bloomberg Television. 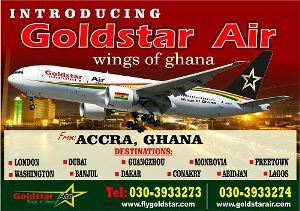 Last year, he said Ghana will consider 100-year debt to finance infrastructure. Ghana has previously said it would sell $2 billion of foreign-currency debt to help finance its 2019 budget and seek another $1 billion to refinance more expensive securities if demand proved strong enough. The cedi, which is the worst performing currency this year among 140 tracked by Bloomberg, strengthened 4.2 percent against the dollar in the first two days of this week as investors bet the sale would boost central bank reserves. The board of the International Monetary Fund will sit Wednesday to finalize a review that will signal the end of Ghana’s four-year extended-credit facility program with the Washington-based lender, said Ofori-Atta. The country entered the agreement in April 2015 when a collapse in the currency caused inflation to soar and debt to become unaffordable. The program included targets on debt reduction, the containment of spending and a clean-up of the financial sector. Ghana will no longer require financial assistance from the IMF, but will continue to receive its input on economic management, Ofori-Atta said.